Rare Bulbs and unusual or ‘hard to find’ bulbs. Rare and obscure bulbs are often seen as the realm of the collector, however many rare, little known or hard to get bulbs are not difficult to grow and deserve a place in many home gardens. Collecting bulbs usually begins with one species that takes a gardeners fancy. It then becomes a matter of adding more desirable bulbs to the collection. Tulips are a classic example, with many desirable species most rarely offered in Australia they can become a little addictive. Many South African that have not been commercially available are also sought after. These are becoming a little more common as specialist growers turn their attention to genus such as Cyrtanthus. 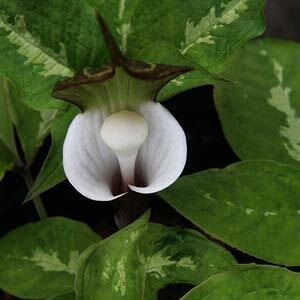 Arisaema are another genus that is drawing attention, some are easy to find while others are rare due to difficulty of propagation. So from the cool climates of Europe to the heat of South Africa and the humidity of Central America gardeners do have access to a wide range of rare and unusual garden bulbs. 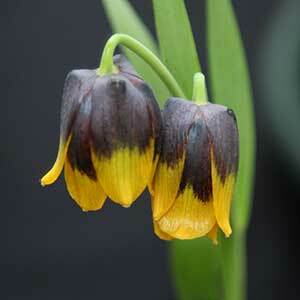 We do love the Fritillaria as well as the species Tulips. Lilium species are high on the list as are many of the South African species that seem to grow so well in the Australian climate. Arisaema are another fascinating genus, the desirable forms rarely offered in Australia. Leucojums, Erythroniums, and Moraea are just a few more worth taking a look at. If you are looking to add the unusual to your garden, explore the world of rare plants offers by specialist nurseries. Daffodils, Fritillaria, Trillium, Erythronium, Dicentra, Liliums, Species Tulips, Alliums, Cyclamen and more.